Short reviews, mostly in extreme underground metal genres. Have fun! 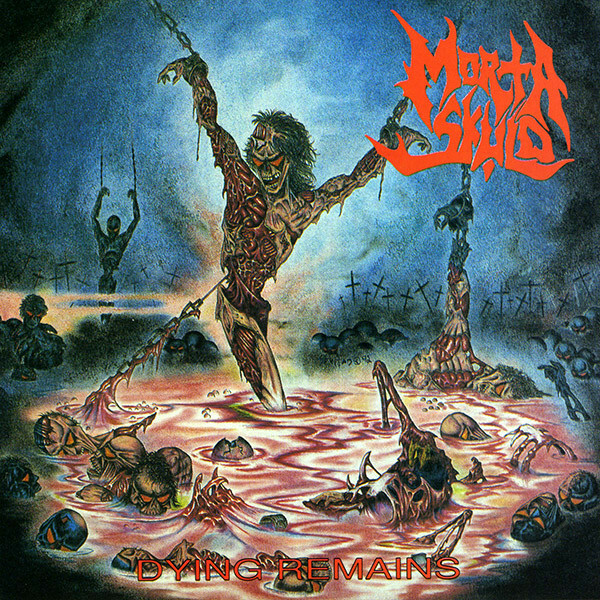 Even though Morta Skuld's name don't telling much to many people, they were one of the heaviest bands in the early '90s metal scene. Their music was like a different approach of the middle-slow speed bumping styled death metal on the path of Obituary and early Broken Hope. The difference was that they preferred more complex composition in their music, and sometimes almost technical style over groovy, catchier riffings. This haltingly marching impression made their music more effective and heavier, and gave another definition to brutality, that is strongly related to the toolbars of death/doom and groovy death bands. The dirty sound increased the effectiveness of their music, such as the short, but very awesome solo parts that created some contarst with the mostly simple themes. The interesting thing about the album is that though only simple and basic themes could be heard on it, their common changes giving the impression of complexity.